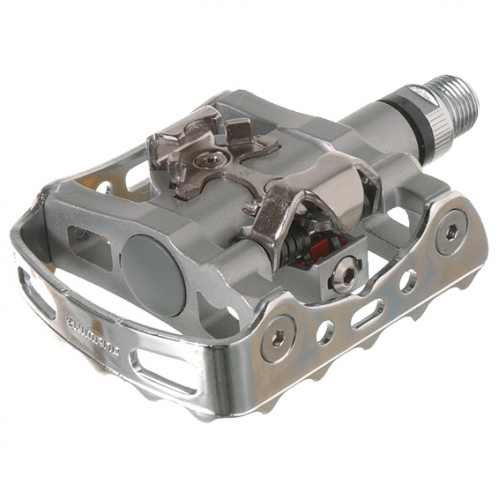 Shimano's PD-M324 pedal offers SPD attachment on one side and a flat pedal on the other side. Ideal for a bike which you sometimes wish to ride with cycling shoes and sometimes with normal shoes. Due to their flexibility, these pedals are a good choice as a first SPD pedal. However, they are also good in the long term. I have used these pedals on some of my bikes for ten years. They work very well, on both the flat and SPD side.